Accounting, B.B.A. Accounting, M.Acc. Applied Gerontology, M.S. Bachelor in Business Administration Communication and Media Studies, B.A. Communication and Media Studies, M.A. Early Childhood Education, A.A. Early Childhood Education, B.S. Early Childhood Education, Ed.S. Early Childhood Education, M.Ed. Education Endorsement Entrepreneurship, M.S. Financial Economics, B.B.A. Health Care Administration, B.S. Human Resource Management, B.B.A. Interior Design, M.F.A. Liberal Studies, A.A. Marketing, B.B.A. Master of Business Administration Middle Grades Education, Ed.S. Middle Grades Education, M.Ed. Nursing, B.S.N. (RN to BSN) Operations Management, B.B.A. Organizational Leadership, B.A. Organizational Leadership, M.S. Professional Certificate Psychology, B.S. Special Education, M.Ed. We respect your privacy. Submitting this form constitutes your express written consent to receive emails, phone calls, text messages and/or other media from Brenau University at the phone number(s) or email(s) received, including a wireless number(s). These emails, texts, calls or other media may be generated using automated technology. You may opt out of receiving any of these communications at any time. You are not required to provide this consent to receive services from Brenau University. Complete this form to receive your FREE guide! Communication and Media Studies, B.A. Communication and Media Studies, M.A. 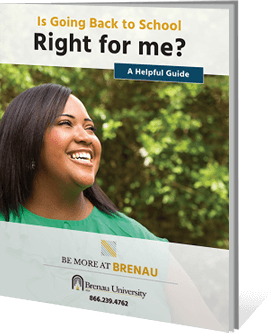 Founded in 1878, Brenau is a not-for-profit, regionally accredited university offering online and on-campus degree programs. We’re so excited you’re considering Brenau University in your pursuit of higher education. You should know something: We’re a little different from other universities. Since our founding in 1878, we place our students first and do whatever it takes to help them succeed. Our students have come to realize what it truly means to accomplish their goals and improve their lives. In the last 140 years, Brenau University has grown and changed a lot, but we’ve always remained true to our heritage of creating progressive learning environments steeped in tradition and centered on enduring values. We were one of the first regional universities to offer online classes, supporting our mission of providing quality education and making it accessible to all. It’s part of our charm. Brenau brings traditional and progressive thinking together to create a one-of-a-kind learning environment. You’re in the right place. The Georgia Baptist Female Seminary is founded as a private institution for the education of women. Many of the historic structures still stand today. Brenau begins offering night and weekend courses to both men and women, continuing their tradition of “radical innovation” that has remained at the heart of Brenau’s progression. Brenau College becomes Brenau University, a name change that reflected the comprehensive programs of study, the diverse student body and the scope of available graduate programs. Select online programs are offered for the first time, signifying Brenau’s bold venture into this up-and-coming medium. Brenau establishes a full-fledged Online College to meet the growing need of students who desire a quality education that isn’t restricted to a campus setting. The University expands to five regional campuses in Georgia and Florida. Brenau celebrates its 140th anniversary. 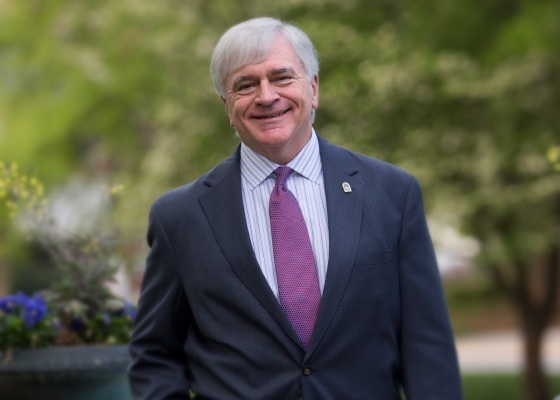 President Schrader (2005-present) is inducted into the Junior Achievement Northeast Georgia Business Hall of Fame for being a catalyst for major growth during his 13 years at Brenau. Take the first step toward earning your degree. Is Going Back to School Right for Me? Our FREE guide helps you know if you're ready. Rest assured that the education you receive at Brenau University is backed by award-winning accredited programs, modern facilities and impressive alumni. Brenau ranks consistently as one of the top higher education values in the Southeast in the U.S. News & World Report guidebook, America’s Best Colleges, and The Princeton Review. No matter your stage in life, you have the opportunity to refine it at Brenau University. Whether you study online or on-campus, you can enjoy access to people and programs uniquely dedicated to helping you become something – someone – more extraordinary than you thought possible. Start your future now. Complete the form below or call us at 866.239.4762 today.